Well, this one is a popular animal. It starred in so many movies and they are often the main performers in marine parks. How come dolphins elicit such an universal attraction from people around the world, both adults and children? Maybe it is their smiles and soft eyes, their benevolent face expression that create peaceful dreams in people watching them. 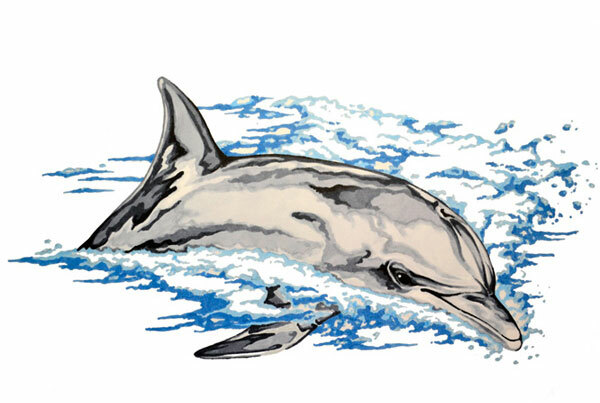 Animal drawing art description: Fine art drawing scientific illustration of a bottlenose dolphin or common dolphin, tursiops truncatus. Colored markers and ink drawing by Madeleine Dubé. 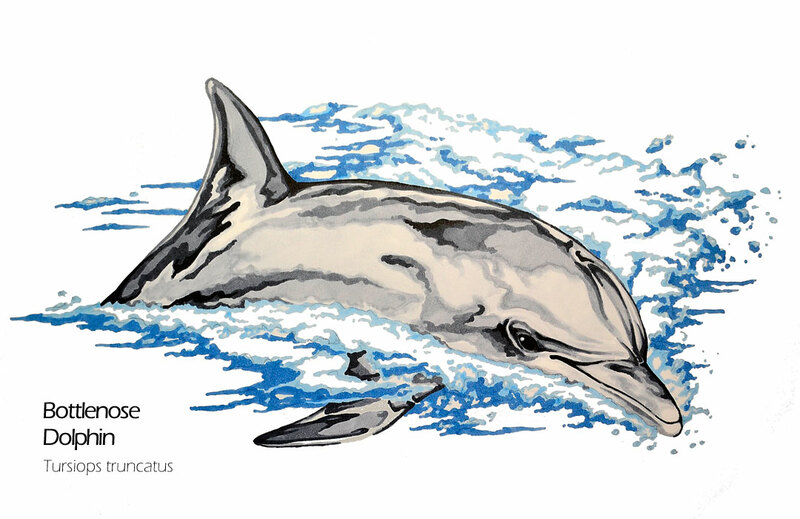 Bottlenose dolphin drawing artwork available for sale as greeting cards, postcards and high quality giclée print reproductions (8"x10" and 11"x14"). 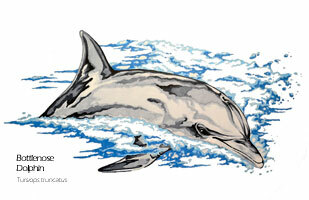 Bottlenose dolphin animal image available for licensing. Ideal for commercial uses such as print, packaging or advertising. For information contact me by email or by phone: 1-514-770-0705.